With your help we will change lives in North Edinburgh. We have opportunities in all areas of our operations from business support and community coaching to youth work and facility maintenance. We have a role for everyone and we work hard to make sure that our volunteers are welcomed, supported and valued. We regularly welcome individuals, corporate and group volunteers who help us to run community events, maintain our facility and support our programmes. 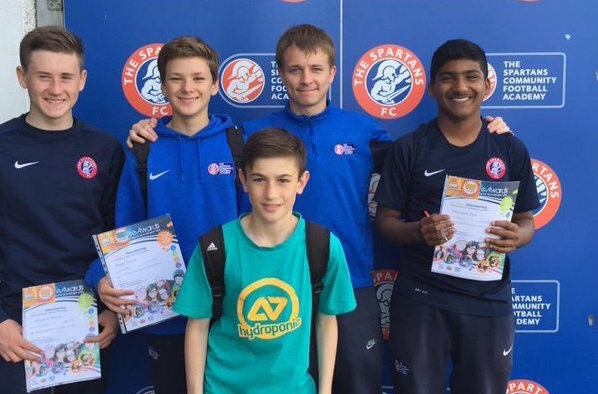 Our Youth Ambassadors Programme ﻿welcomes young people who would like to gain valuable skills and experience in youth work, facilities management and coaching. Participants are mentored by staff from The Academy and work towards their national Saltire Awards .